Congratulations on taking that big first step towards considering drug and alcohol detox and addiction recovery. We have treated people with all kinds of addictions in our treatment centers and we understand that entering treatment is difficult decision to make. Your recovery starts here – and we’ll happily guide you through the whole process. Our treatment centers offer a variety of different detox plans for different forms of addiction. 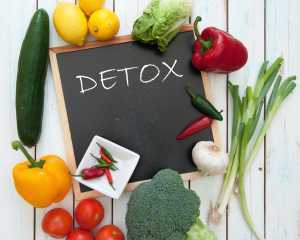 There are various health implications that need to taken into account when beginning detox, so we do a full mental and physical examination before it begins. We also take urine and blood samples so we can test them for substances. The severity of the addiction, how long the individual has been taking the substance and the strength of their last drink or dose. Has the individual attempted a detox and recovery program before? Is the individual feeling physically and mentally able to begin detox treatment? Does the individual have a strong preference for detox treatment to take place in a specific location? Drug detox is for anyone who has developed a debilitating and serious illegal drug habit; this can include cocaine, heroin, methamphetamine and many more substances. Before drug detox you will be informed of the likely withdrawal symptoms (which can vary dramatically), you will be coached through the process, and monitored 24/7 by our medical staff. Various pharmaceutical medications can be used to alleviate withdrawal symptoms during the detox period. Our alcohol detox program is highly sophisticated and incorporates every aspect of physical care. Alcohol detox can be particularly dangerous if it develops into delirium tremens. Like drug detox, you are monitored by our medical team of addiction specialists 24/7. They will keep an eye on your vital signs and ensure you’re as comfortable as you possibly can be. You may be given medication to help with the withdrawal symptoms, which could include benzodiazepines, which will treat any over-activity of the central nervous system, irritation and anxiety. For those who feel medically and psychologically stable enough, sub-acute detox can provide their body with the kick start it needs to begin inpatient or outpatient addiction recovery treatments. Whatever method of detox you choose, we’re confident and comfortable in our ability to support your both physically and mentally. It’s a huge undertaking and one that no one takes lightly. We’re determined to make your recovery treatment comprehensive, effective and comfortable so that you can continue living a happy and sober life well into the future.